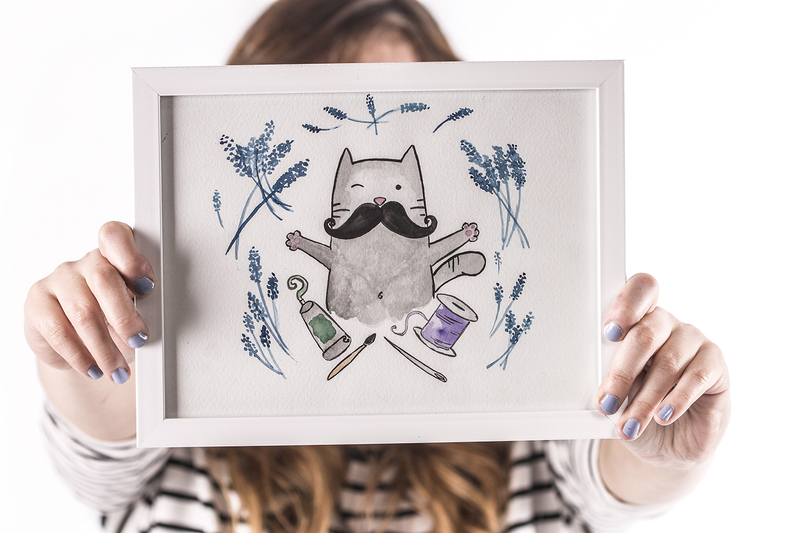 Cat with moustache is a brand that was created quite unexpectedly. When I finished studying philology and worked as a decorator in a popular shop I was convinced that my childhood dream of working with animals was not fulfilled. Then something happened and everything was change. I gave up work overnight and instead of looking for another, equally hated, I bought a sewing machine and with the help of my mom (who had some concept of tailoring, because I didn't have one) I started an adventure with my own business. Strange fate I realize my child's plan in some way. I work with animals, although these animals are rarely alive. The pets I meet only in the pictures that people send me to paint them on a bag or a blouse. The development of the company allow me to realize all the ideas for gadgets and accessories for animals lovers, just like me.